This is the ultimate field reference for swiftwater rescue written by industry legend Slim Ray. The guide is on water-proof paper and distills hard-won swiftwater rescue knowledge into a practical on-the-spot reference. This edition has been expanded from 52 pages to 84, including many new sections. 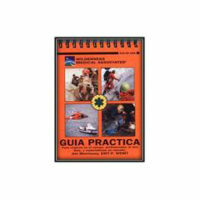 Every emergency responder needs to have a copy of this tough, waterproof 4 x 6″ guide handy. Made to fit in a pocket, a glove compartment or a emergency response pack, it’s the ultimate (and only) field reference to swiftwater rescue. 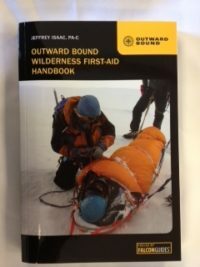 In addition to the new material, the Swiftwater Rescue Field Guide still covers topics like basic rescuer safety considerations, river hydrology, equipment, shore based, boat-based, and in-water rescue techniques; knots, rigging for river rescue, helicopters, incident command; and special situations like low-head dams and flood channel rescues. If it’s been awhile since you took your last swiftwater rescue course, you’ll appreciate having this handy pocket reference. 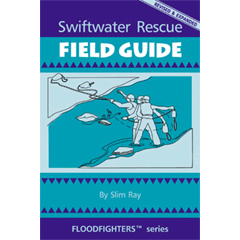 Swiftwater Rescue Field Guide by Slim Ray. CFS Press, Asheville, NC, 2002. Paperback, spiral bound, 4 x 6″, 84 pages. ISBN 0-9649585-3-8. 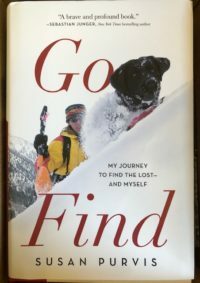 Suggested retail $16.95.